Sam King is a young Australian motorcycle athlete and business owner with a promising future and a great history of results in the worlds of moto-trials, endurocross and freestyle trials. 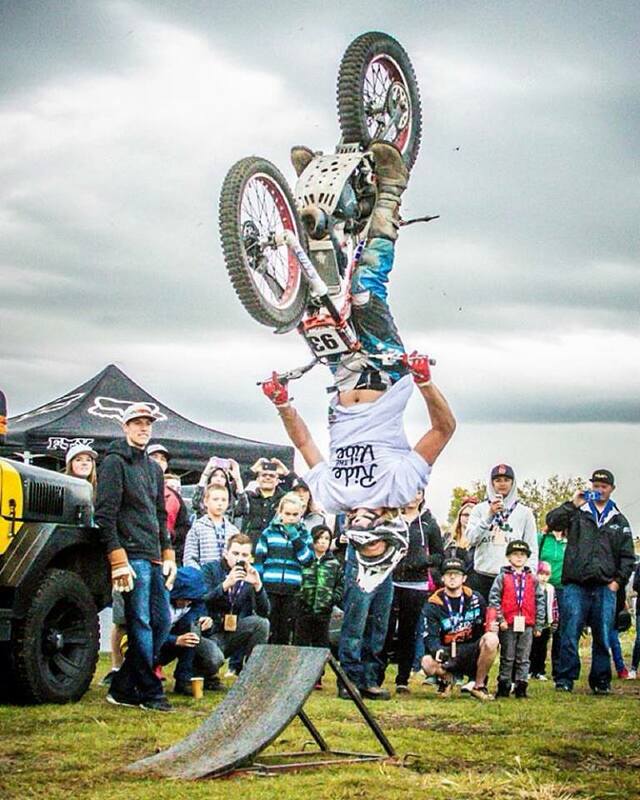 He has travelled throughout Australia, Canada, Indonesia and Europe, competing in national and international competitions, as well as partaking in freestyle trials demonstrations and entertainment shows. Sam now resides in Golden, British Columbia, but his business, Ride the Vibe, has him spending much of the year on the road. 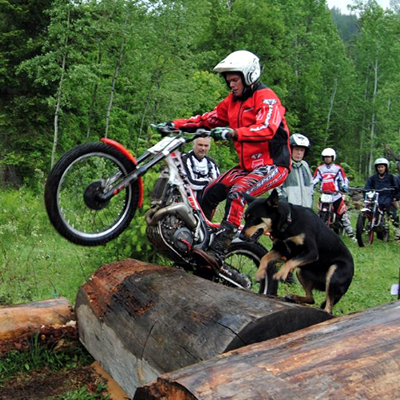 His freestyle shows and demos have kept audiences entertained at various events, including the Red Bull Rocks and Logs. 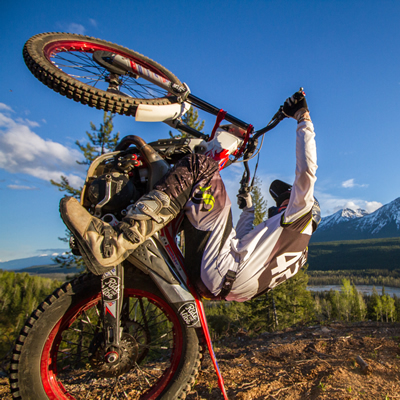 FYI: Sam is the only one who can flip a trials bike in Canada and at world-recording-breaking levels. Also a coach, Sam offers workshops for those wanting to improve their off-road riding skills. You can visit the website for more information on Ride the Vibe or follow the journey on Facebook and Instagram @ridethevibe.ca or @kingzy. 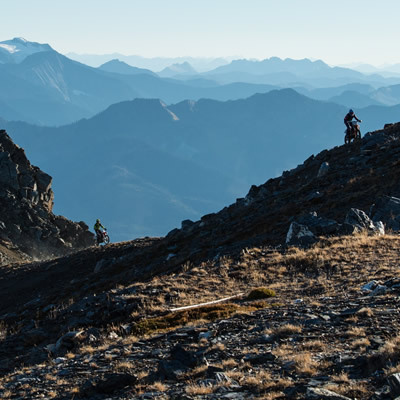 Professional off-road rider Sam King shares tips on how to navigate your way up steep, snotty and technical inclines and what to do if you don't make it. Sam King shares different techniques, tricks and tips to help navigate your way over the different size and style of logs. One of the world’s top trials riders guides us through the physics behind this stunt and shares some extremely handy tips on how to do it. Share your Photos to Win!